2018-06-03: A Wray 40 mm screw lens 90/2,5 soon on its way. 2018-06-01: Some internal Rectaflex production papers received. To be presented. 2017-11-03: A rare camera on its way. 2017-03-18: A very rare item on its way..
2017-03-17: System error - All information on upgrades since 2011 has disappeared from this page! 2011-2018: Continous building of collection. 2012 and beginning of 2013: Building this site. 2011-06-17: Start of collection by purchasing 7 elder Pentaxes from collector at Auli, Norway. Yes, there were lenses branded Pentor, probably Cosinas. 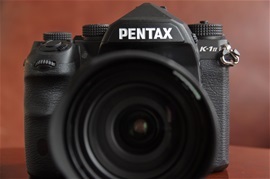 Pentax cameras were branded Pentar in some markets. Lenses were always branded Takumar, until 1975. Hi .. Thank you for that great site. Here found finally some information PENTAR .. But found nothing Internet about PENTAR 135 mm 2.8 mit 12 Blades . do you ?